Video camera inspection allows us to determine the exact cause and location of the problem. By using the latest plumbing video camera equipment we are able to go to the “root” of the problem. Frozen water pipes are a serious risk during very cold winter weather. When water freezes in a pipe it expands and can exert pressure over 2,000 pounds per square inch. This pressure is enough to rupture most any pipe filled with water, which provides no place for the ice to expand. In the situation where your pipe is frozen but not yet ruptured, you need to promptly thaw it out. Call Toronto Drain & Plumbing to perform this service! Whether you’re buying a new home, updating an existing property or just finally taking the plunge and carrying out that bathroom renovation you’ve always wanted, choosing the right toilet can be one of the most important decisions you will make. A high-quality toilet can help you save money, protect the environment and conserve water, all without sacrificing performance or peace of mind - Buying a Water-Efficient Toilet. Toronto Drain and Plumbing is an expert in all types of plumbing fixture replacements, including toilets. Please note: On February 23 Council ended the City of Toronto's Clothes Washer and Toilet / Urinal rebate programs and Summer Water Saver Visits, effective March 1, 2011. Applications are no longer being accepted. Toronto Drain and Plumbing is an expert in all types of plumbing fixture replacements, including faucets. 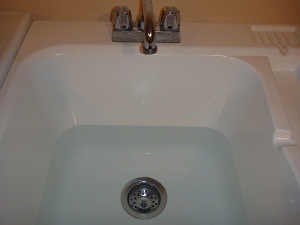 Toronto Drain and Plumbing installs all types of bath tubs. 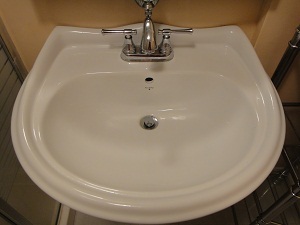 If you need to install or replace a sink, call Toronto Drain and Plumbing today! 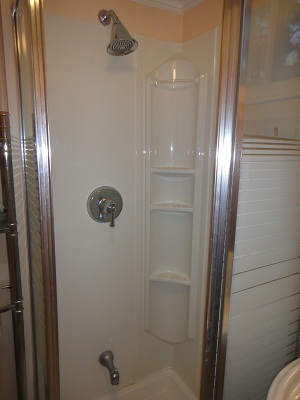 Toronto Drain and Plumbing is an expert in all types of plumbing fixture replacements, including shower heads. Call Toronto Drain & Plumbing if you need to install a new laundry centre. Hard water contains large amounts of calcium and magnesium — two minerals that cause the soapy scum on glasses and lime residue on bathroom fixtures. While suitable for drinking and gardening, hard water can cause mineral build-up in water heaters, pipes, dishwashers and showerheads, reducing its flow. Soap and shampoo’s ability to lather is reduced, and laundry becomes stiffer and duller in appearance. Water softener reduces water hardness, making it easier to shower and clean fabrics and dishes. With softened water, less soap is needed for bathing and laundry. Skin feels cleaner and clothing softer. Pipes, fixtures and appliances have less scale build-up. With less build-up, appliances can operate efficiently. 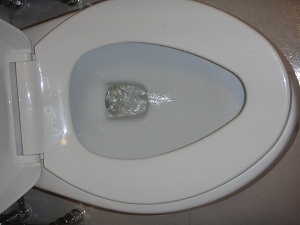 Mineral-derived odours may be reduced; and, there are fewer deposit stains on bathroom fixtures. Water softeners are sold by water equipment dealers, department and hardware stores. Units should be certified to the appropriate standards as outlined by the Canada Mortgage and Housing Corporation. Water softeners are installed where the water line enters the home. Toronto Drain & Plumbing carries out installation of water softeners. Separate cold line will be required for drinking and cooking purposes if you prefer to not consume softened water - Water Softeners. 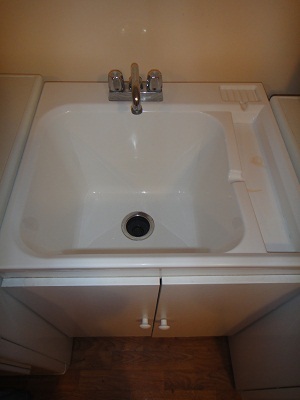 Toronto Drain and Plumbing installs and replaces drain pipes. Call us for a free estimate today. If you are building a new home or an addition to your home, Toronto Drain and Plumbing will lay out drain lines for your plumbing fixtures. Toronto Drain and Plumbing performs all types of plumbing renovations. If you are dreaming of renovating your kitchen or bathroom, we can help realize your dream. Call us for free estimate today. If you are buying a house we recommend that you hire Toronto Drain & Plumbing to inspect the underground drains of the house. Our licensed plumber will inspect the drains using video camera equipment and will tell you about the condition of the drains and any potential problems. This will help you avoid any unpleasant surprises in your new home. We also do plumbing check ups for current homeowners. The cost of this service is $100. If you hire us to perform any drain or plumbing services in your house, your plumbing check up is performed for free.